My writings here at Sports From the Korndogg Stand have been few and far between lately. But I want my posts to mean something more than just another take on the same old topics everyone else in the sports universe are talking about right now. That is what my last few entries have done. This one will be no different. With the Indians hitting another midseason dive just as they had last season, fans in Cleveland are once again ready to jump ship and turn their attention to football season, whether it be the Ohio State Buckeyes or the Browns. I, on the other hand, refuse to give in. This is not a slander against those fans that have lost hope in the Indians or may not love baseball as much as I do. Rather, it is a reflection on the people who passed down the love of the game and the Cleveland Indians to me. A few weeks ago my uncle decided to take a walk down memory lane, dug up photos of my grandfather, Raymond Klafczynski, and posted them on Facebook. One of which was my inspiration for this writing, his high school baseball picture. My grandfather’s skill for the game was recognized by the Chicago Cubs and he was offered a chance to tryout for the team. Unfortunately my great grandfather passed away when Ray was just a child. With his brother overseas, Ray made the decision to pass on the opportunity of a lifetime to be a family man and support his single mother. 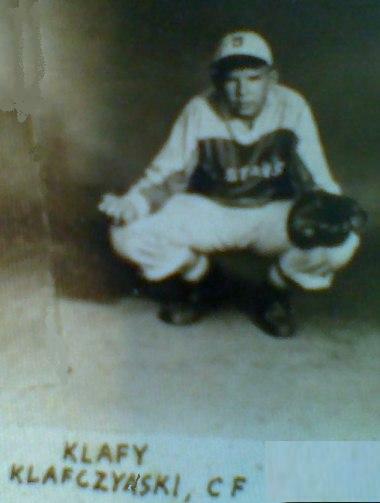 My grandmother still speaks often of how she met my grandpa while he was playing in a neighborhood baseball league. Together they passed down the love of the game to their seven children, many of whom played the game as they grew up. It was only natural that my parents made sure I was a baseball fan. Sadly, my grandfather passed away before he and I could see an Indians game together at the old Municipal Stadium. But that did not stop me from learning and loving baseball. I used to read my father’s old copies of Baseball Digest as a method of learning the players. I used them to create my own version of fantasy baseball. Yes, I was playing fantasy baseball in the early 1990s when the game was unheard of. My dad and uncle saw my vast knowledge of the game and took me under their wings as an adviser to their own fantasy baseball league. Everyone I met tested me on my player knowledge and stood in awe as I rattled off players’ teams, positions, and jersey numbers before I was ten years old. I even managed to stump former Major League pitcher Chris Bosio, who was a friend of my aunt and uncle at the time. One of my favorite games on Sporcle.com is Indians history such as this one: Opening Day Lineups: Indians, because I can name the starting lineups and most of the pitching rotations for the Cleveland Indians from 1990 through the team’s glory years. Though the teams of my early years were not synonymous with winning baseball, names like Brook Jacoby, Cory Snyder, Tom Candiotti, Greg Swindell, and Doug Jones will remain in my memory forever because they were here when I got my start as a fan. 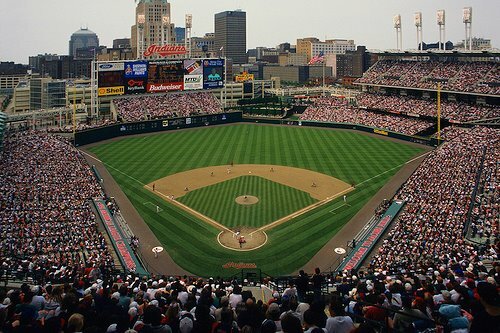 One of my fondest memories as a child was walking onto the field of Municipal Stadium with my sister and hearing speeches from former Tribe pitcher Jesse Orosco, infielder Carlos Baerga, and catcher Sandy Alomar. I have seen countless Indians games in my life between both the old Municipal Stadium and Jacobs/Progressive Field. 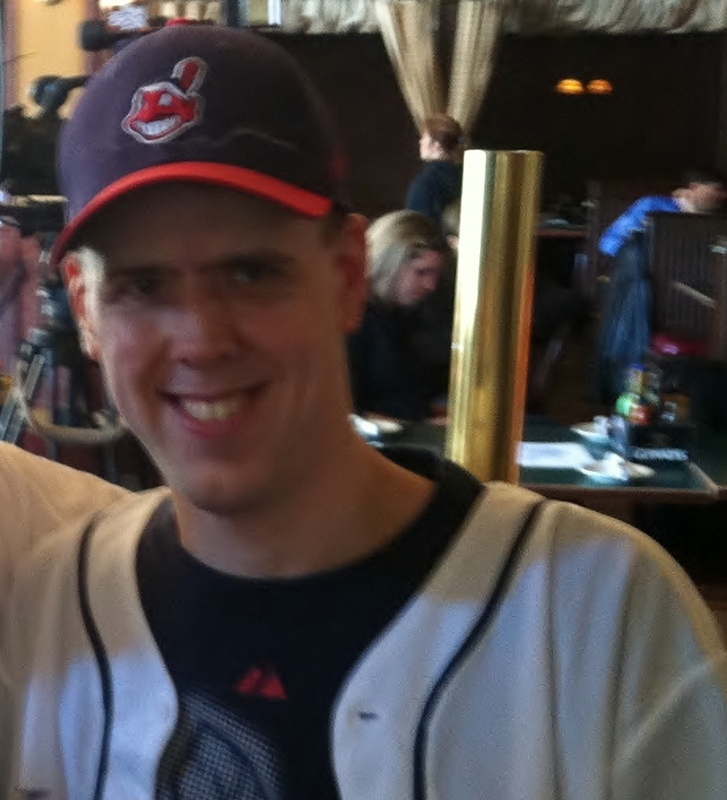 I was at the second game in 1994 when Jacobs Field opened, rooting the Indians to victory in the freezing cold. I joined my father and brother for their first game at the Jake as the Indians battled back and forth in a slugfest against the Baltimore Orioles. We all sat in amazement when Albert Belle blasted a walkoff homer that nearly reached our seats. I attended game three of the 1997 World Series with my aunt, also in the freezing cold. I broke remote controls after slamming them on the floor in heartbreak after the Indians lost the World Series in 1995 and 1997. 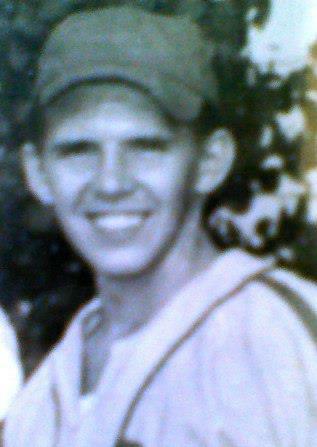 Many of my cousins, my sister, and my brother inherited at least some of my grandfather’s talent for baseball. I have watched them all excel at the game. I have supported them as they played in their respective leagues. While I came up short in that area, I have been reassured that my love of the game is undeniable. Regardless of how good, or bad depending on the perspective, the Cleveland Indians are each season, they are my first love. I continue to support them, contenders or not. I return to “my home at the Jake” many times a season. Sports radio stations in Cleveland discuss the Browns ad nauseum throughout the year because Cleveland is “a football town.” But for me, from April through October nothing else exists to me in sports but baseball. I have one man to thank for that love of the game. Thank you, Grandpa Ray Klafczynski for passing on your passion for baseball and the Indians to your children, especially my mother, who passed it on to me. How did I miss this one? What a beautiful tribute to Grandpa, he was and will always be an inspiration to his grandchildren, even those who only knew him through his legacy. I got to see him play ball and take me to my first Indians game. I am proud to be his first born.